The Walking Dead is an American 60 minute scripted horror television series, which kicked off on October 31, 2010, on AMC and is broadcast every Sunday at 21:00. The show is currently in its 9th season. 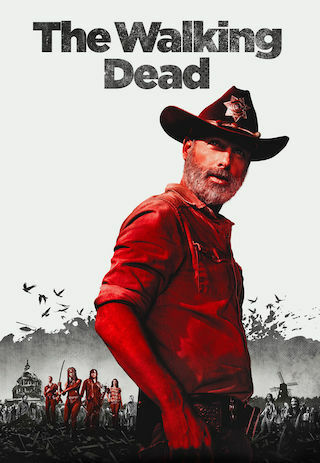 AMC has officially confirmed the renewal of The Walking Dead for Season 10. The exact release date is yet to be announced so far. Sign up to track it down. Based on the comic book series of the same name by Robert Kirkman, Tony Moore, and Charlie Adlard. The second half of "The Walking Dead" Season 9 finds our groups of survivors, both old and new, continuing to deal with the impact of events that took place during the six years that have passed. Since the disappearance of Rick, many of these characters have become strangers to each other, and in some ways, strangers to themselves. What they do know is that they are in undeniable danger. They will soon realize the world just beyond does not operate as they thought. The group's rules and ways of survival no longer guarantee their safety. A whole new threat has crossed their paths, and they soon discover it's unlike any threat they have encountered or endured before. The group will start to question what they think they see. What may appear to be normal in this post-apocalyptic world could actually be more disturbing and terrifying than when the apocalypse first broke out. All that is certain is the stakes are high and numerous.